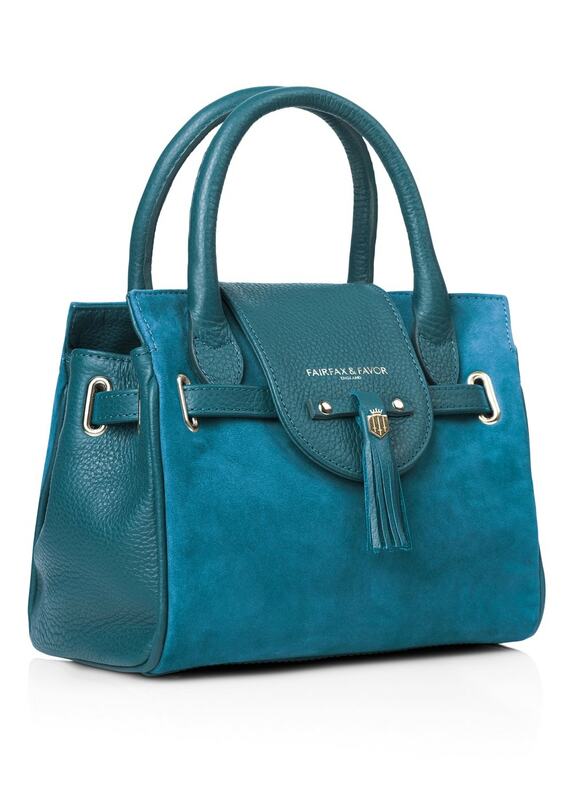 The Mini Windsor is a descaled, replica of the classic Windsor Bag. The Mini Windsor is a descaled, replica of the classic Windsor Bag. The Windsor Bag was the first bag by Fairfax & Favor and is a timeless classic adhering to the brand values of understated elegance. Hand made using exceptional quality suede and leather, the Windsor is finished with our signature interchangeable tassel enabling you to personalise it for any look or occasion. All our suede products should be sprayed once at least once a month with the Suede and Nubuck Proofer. If the suede does become subject to large amounts of mud or water leave to dry naturally before brushing then re-apply the Suede and Nubuck Proofer.